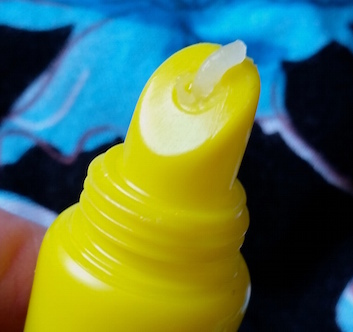 To apply, squeeze a small amount from the tube (a little goes a really long way) and apply to wherever needed. I have to say, the Dr. Paw Paw Original Balm is incredibly multi-functional, and if there is one thing that I love then it is definitely a multi-tasker. I have been using it as a cuticle cream, lip balm, on my eyebrows, on my elbows and even on my little ones and I feel like I haven’t even made a dent in it. The balm itself is really thick, so on first use it may seem as if the product is stuck. When you use a similar products in these types of tubes you tend to avoid squeezing too hard, but with this you do need to add a bit more pressure to see it. I have noticed a great difference in the softness of my lips since I began use, so if you are looking for a new lip balm then this is a great one to try. It’s also fantastic as a cuticle cream because it’s non-greasy. It absorbs really quickly too, meaning that you can have moisturised cuticles and nails without any residue. On super dry skin it provides instant moisture making even the driest of skin feel softer. This is particularly handy for smaller areas of skin (such as elbows or knees) as the balm is quite thick and therefore not quite so practical for larger areas. With that said, maybe with the largest, 200ml tube you could try it if you so wanted. If you’re in a rush and you don’t have time to sort your eyebrows, this is also easy to just smooth onto them to hold them in place and it’s all doable whilst you’re on the move! If you are a regular reader of my blog then you may have noticed that I have a huge love for multi-tasking balms. 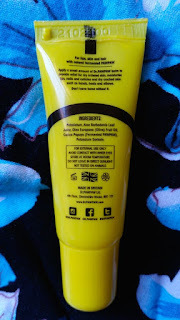 However, I don’t feel like this one replaces the need for the others that I have spoken about (and loved) here on the blog (see One Love Organics Skin Savior Waterless Beauty Balm and KWENA Crocodile Oil Balm). Instead I feel as if they all work together well due to their different strengths. For example, this Dr. Paw Paw Original Balm is perfect for when you’re on the go. The size of the tube is great for your handbag and due to the tube design only letting out small amounts at a time, it’s main strengths are for things such as lip balm, cuticle and nail cream, very small areas of dryness and for smoothing small areas of hair (such as eyebrows or an annoying fly away or two). Two things that I always carry around with me are a lip balm and a cuticle cream. The Dr. Paw Paw Original Balm now means that I can cut down on multiple on-the-go products and combine them into one, decluttering my handbag. I no longer feel as if I can go about my day without one of these little babies in my handbag. Honestly, I find myself reaching out for it all of the time! It’s a little gem of a product at an absolute bargain price! If there is one thing that you need to invest in that you can pop in your bag, it definitely should be this. 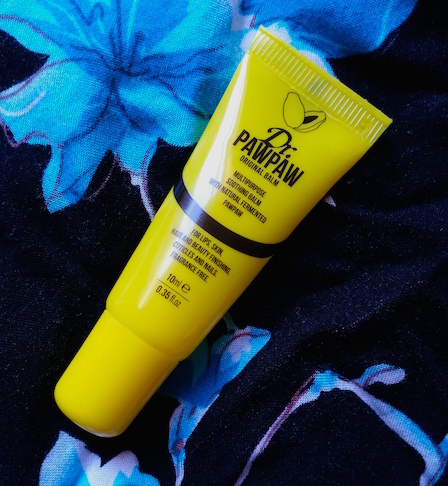 You can purchase a tube of Dr. Paw Paw Original Balm for £6.99/25ml from Asos. What are your thoughts on the Dr. Paw Paw Original Balm? Are you a fan of multi-tasking beauty balms?